MANILA, Philippines- “Project Kwago,” a drone project made by a team of three Filipinos, aims to improve search and rescue operations particularly during catastrophes. Project Kwago aims to improve search and rescue operations during catastrophes. 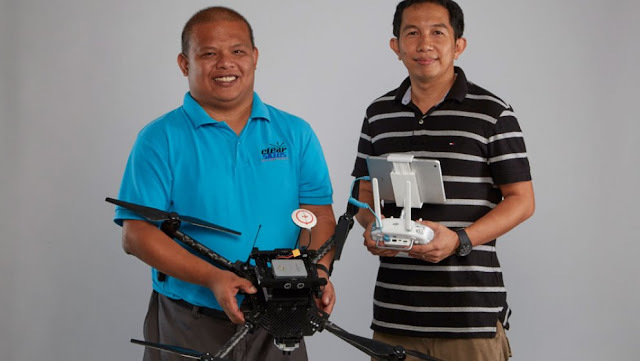 A semifinalist at the 2016 Drones for Good Awards in the United Arab Emirates, the search and rescue drone has pattern recognition, collision avoidance, sonars as well auto take-off and landing features. It is also equipped with a thermal camera that allows it to detect heat signatures from the ground. According to its inventors, Kwago specializes in night operations as most drones used in search and rescue operations are only capable of capturing photos or videos during daytime. So how exactly does Kwago work? Users can plot the coordinates of the target area on the map using the Kwago app. Kwago will then conduct a high altitude thermal scan of the area, which is approximately 400 feet, to identify and detect thermal signatures from the ground. The system will then mark as soon as a thermal signature is detected. Afterwards, Kwago will carry out a low attitude scan of the area, approximately 40 to 50 feet, in order to get the exact location as well as the coordinates of the detected heat signatures. Once the coordinates are obtained, these will be transmitted in real time either to the ground station or to the rescuer nearest to the location. Interestingly, Kwago can hover and beam light on top of the target while waiting for rescuers. The drone can also mark as well as submit the coordinates of the target to the ground station and go on with the sweep. The rescue team can also save a lot of time since Kwago can move on to the next target area when no heat signature is detected. Created by video editor and hobbyist Mac Eugenio (project head), freelance cameraman Ari Trofeom and software architect Vince Villena, Kwago has the chance to be awarded US$1,000,000 in funding if it beats 19 other semifinalists in the contest to be held on February 6, 2016 at the Dubai Internet City. "It is up to us to gear up to these challenges, to be creative, to be innovative and believe that we can do something more for humanity through technology. Once Kwago flies and does it job, we know we have done our part," Eugenio explained.